We are committed to providing a results-driven, small learning community, built around a culture of positive character development and committed parental involvement. I’ve been honored to work at Beacon Academy Charter School since 2008. I am dedicated to working hard as an instructional leader because I believe high student achievement is a result of exceptional teaching in each classroom. I am dedicated to reflectively serving students and am resolved to allow my core values to guide my decisions and actions. I hold high expectations for myself, our staff, and our students. Through our open communication – built on earnest understanding, integrity, and listening – we can embrace inclusion, celebrate diversity, and build on the wonderful school culture and high levels of student achievement we enjoy at Beacon Academy. I have been fortunate to serve students and families from an array of backgrounds throughout my educational career and now feel privileged to be a member of the community at Beacon Academy Charter School. With a culture committed to the holistic growth of children, students experience a challenging curriculum, develop personal and social responsibility through intentional character education and gain a global perspective through daily Spanish instruction. By supporting culturally relevant practices, fostering staff-student relationships, and understanding how our students’ cultural backgrounds shape who they are, we can make our learners feel they matter as we partner with families to achieve favorable results with their children. It has been my distinct pleasure to serve at Beacon Academy Charter School since March of 2017. My prior experience as a high school teacher and my childhood as the son of an educator have instilled in me a rewarding drive towards inquiry, as well as a thirst to unveil the mysteries of life. I believe schools function best when community/family-based, and it has been a joy to find that mirrored in Beacon's mission. The teachers at Beacon make each day count and put kids first. Our staff is filled with open hearts that value play, purposeful curriculum, healthy lifestyles, finding one's passion, dealing with stress/solving conflicts, and making positive human connections. We try and create a safe space for students to take academic risks, and we celebrate efforts as well as successes. "As a parent and Spanish teacher at Beacon AcademyCharter School, I feel fortunate to be part of such a caring school community. 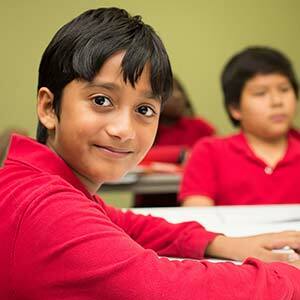 My son loves belonging to a school where he can enjoy learning Spanish every day! Since we spend most of our days here, we are blessed to be in a place that brings us so much joy!" "We LOVE our school. 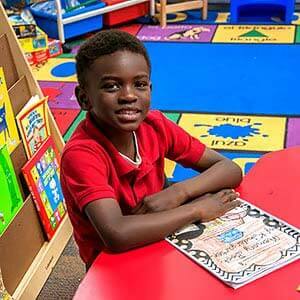 Beacon Academy Charter School is such a great place to raise and educate our boy. The teachers, staff, and families provide a meaningful community of support and care for our boy and for our whole family." "My transition to high school was smooth because my years at Beacon gave me confidence in who I was and what kind of friend I could be to others. I was academically prepared too!"